My First Full Day At NXNE. Concert Review. One of my first shows this North By North East was at the Drake Underground; which is one of my favourite concert venues in the city. Not to mention their bathrooms are so clean and fancy! 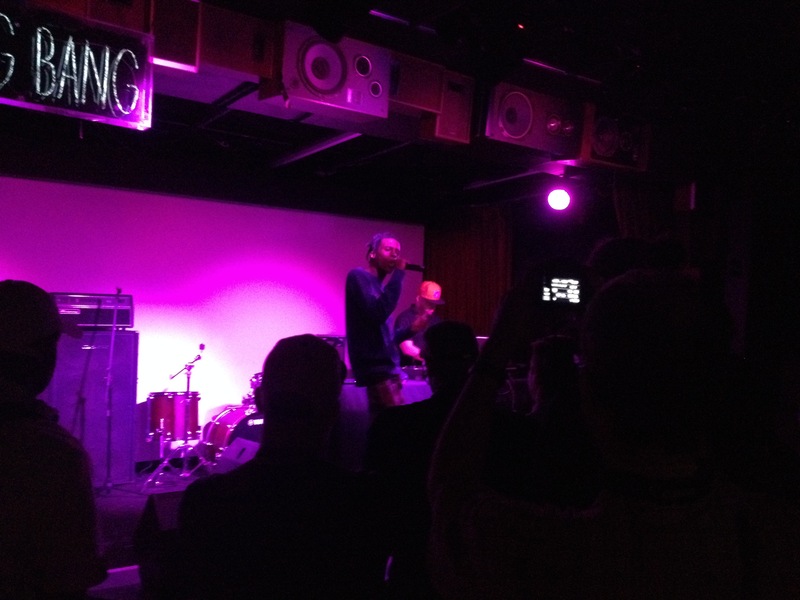 I was going to see Heems and Raz Fresco play for the first time. I’ve heard about Raz Fresco all around the city but I never got the chance to see him in concert. He has this incredible buzz in the 6 especially with his album Pablo Frescobar coming out July 1st. I got into the area a few hours early so I hop into a Subway Sandwich shop and order a cold cut combo. After eating my sandwich I get hit with a lot of excited energy all in anticipation for the show. It’s like there was something in the air. During NXNE Toronto had this electric vibe all around the city, its awesome. I get into the Drake Underground and hang out by the bar sipping on water. It’s around 9:00 pm when Heems gets on stage and plugs his phone into an aux cord. You might be familiar with him as he used to be part of the hip hop group Das Racist. He didn’t have a DJ or band just him with a guitar and his phone. Heems hits play on his phone and the magic is started. He pulled me and everyone else in the room into his world. He kept saying he has only been performing for 5 years but it seemed like he’s been doing this for decades. Heems was just so natural on stage, cracking jokes and talking to the audience, saying things like “I’m just like you guys but good at rap” and “shouts out to all the computers in the world”. Screaming into the mic and shredding on the guitar Heems gave us everything he had. It was incredible, one man on a stage just putting on an unforgettable show. After stepping off stage the crowd went to the bathroom or to get a drink, I moved up quickly for a better view. I waited patiently as they started to get the stage ready for Raz Fresco. His manager Big Soze takes to the stage getting the crowed pumped up for Raz. The energy of the room went from about 50 to 100 really quick once Raz Fresco touched that stage. For most people this was their introduction to his music and what he is all about. This was great promo for the album as he played songs off the project and did accapella verses that would blow anyone’s mind. Raz is about to take off with the release of his upcoming album Pablo Frescobar. This is an amazing time to be a hip hop fan in the city of Toronto the scene keeps get better and better every single day. There are so many great up and coming rappers from Canada making us all proud. After his set I got the chance to talk with him for a bit (look out for the interview!) about his new album, the hip hop scene and the last album he listened to. I start to make my way toward Spadina where my friend is waiting for me in a McDonalds. We chill for a bit as I charge my phone and we discuss where we will go next. After a few minutes of charging my phone, looking over the lineup and talking with another NXNE concert goer we make out way to the Silver Dollar. We didn’t know any of the bands playing but that’s the best part of music festivals, experiencing music you never heard before. They had a showcase going on full of punk bands it was different for me since I just came from a hip hop show. It was packed in the Silver Dollar you could barely move around. 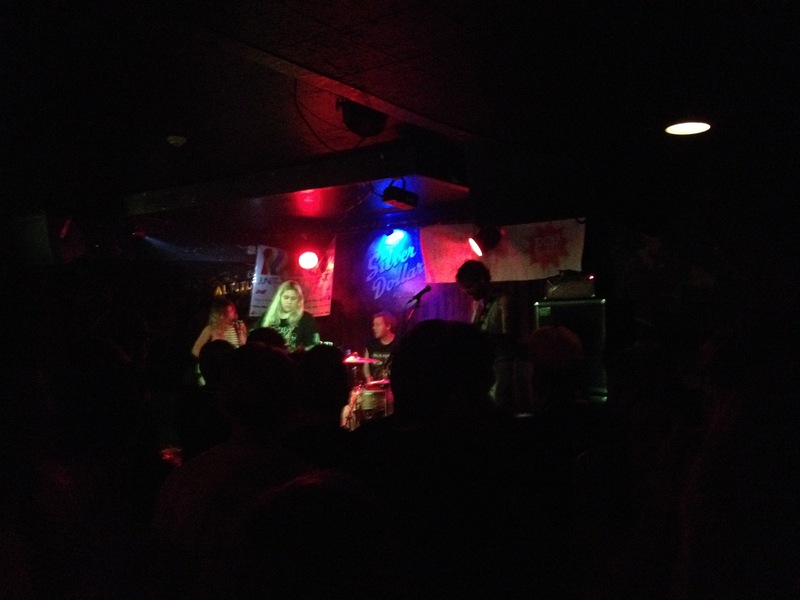 We saw No Joy from Montreal and they tore down the building with the power of rock music! It was a great way to cap off the night, as we were left I saw tons of people coming out of shows with the biggest smiles on their faces. NXNE not just brought live music to the city they also brought happiness with them.